When you're expecting to be outside the service area of a typical cellular network, you may need to consider using a satellite phone instead of a standard cell phone. Satellite phone costs can be substantially higher than the costs that you normally incur by using a regular mobile phone, but they are getting more affordable as time goes by. A common misconception regarding satellite phone costs is the cost of the phone itself. Just as world phones can vary in price, so can satellite phones. That said, used or refurbished models from major manufacturers can be purchased for around $200. Newer models typically range from $500 to $1000, which is only somewhat higher than the range you'd expect for a high-end, unlocked smartphone. The GlobalStar GSP-1700, for example, uses Qualcomm technology and sells for $499. Another common brand of satellite phone is Iridium, manufacturer of such devices as the ruggedized Iridium Extreme. That model is much more expensive at about $1,354, but it has been optimized to work in even the most extreme of conditions, complete with GPS-enabled SOS emergency services. As with any other kind of service, the costs of using a satellite phone provider will vary according to your needs, the plan you choose, and the provider you use. There are monthly plans for $39.99 that offer unlimited usage with a GlobalStar satellite phone. These costs can increase dramatically, however, when you are using a satellite phone in international destinations that may not have as much standard phone coverage. In those instances, a call from a satellite phone to a conventional landline telephone can cost about $1.49 per minute. A call to another satellite network from an Iridium phone is currently priced at $11.99 per minute. This is why it can prove to be more cost-effective to purchase a prepaid voucher. Depending on the level purchased, the per minute rate can get down to $1.13. Do You Need a Satellite Phone? If you are traveling internationally and will be somewhere that does have local cellular service, it makes much more sense to get the cheapest calling plans available there with a prepaid SIM card on an unlocked phone. If the communication is only for a local area, using FRS radios ("walkie talkies") is much more economical than satellite service and could be more than adequate. Of course, there are many isolated parts of the world where regular cellular service just is not available. 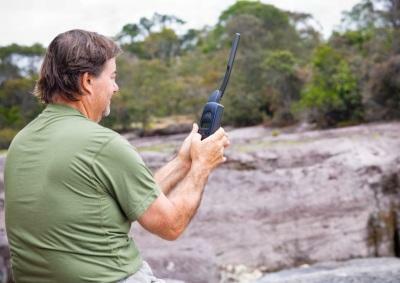 There are even significant "dead spots" throughout the United States and Canada where only a satellite phone will do. If that's the case, then the higher costs of satellite phones may become a necessity - and one that is well worth the cost.